Eibar will be looking to build on a splendid performance in a 2-2 draw with Sevilla when they host Getafe at their Estadio Municipal de Ipurua on Friday evening. Eibar are eyeing their third consecutive win at home in the Spanish top flight and seeing that they are still in the race for a place in European competitions, we predict that they are going to leave their hearts on the field in Friday’s football match. Los Azulones, on the other hand, did well to beat Celta Vigo 3-1 in front of home fans in their last league match, with the team retaining their spot in top five in the La Liga standings. However, seeing that los Armeros have turned their Estadio Municipal de Butarque into a real fortress, we believe that the two teams are going to share the spoils in the Basque Country on Matchday 24. Gonzalo Escalante is an Argentine footballer who plays for Eibar in Spanish La Liga. Escalante made his senior debut for Boca Juniors, coming as a substitute in a 6-1 loss to San Martin de San Juan. After playing 11 matches for the Argentine giants, he was sent on loan to Catania on 28 August, 2014 and he scored his first professional goal against Virtus Entella on 28 October. On 29 January Escalante signed a permanent deal with the Sicilian outfit and he played 26 games for the club in the 2015/2016 campaign. At the end of the season he joined La Liga team Eibar on loan and he made his debut for los Armeros on 24 August against Granada. He managed to find his net on his debut and six months later he signed a permanent deal with the club. His contract with Eibar expires on 30 June, 2020. His main position is central midfield, but he is capable of playing as a defensive midfielder as well. Getafe Club de Futbol is a Spanish football club from the suburb of Madrid. The club hosts its home games in the Coliseum Alfonso Perez which holds a capacity of 17 7000 seats. 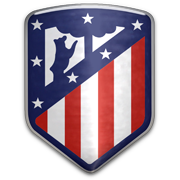 The club managed to reach the Primera Division in 2004. The main club colors are blue and red. The fans of Getafe gave the club the nickname Azulones or Geta. The biggest succes of Getafe was in the season 2006/2007 where the club reached the final of the Copa del Rey which they lost 1-0 against Sevilla FC. Getafe CF played in the UEFA Cup once in 2007 where they end in the quarter finals after playing against Bayern Munich. Known players that played for Getafe in their football career are: David Silva, Raul Albiol, Aragones and Daniel Guiza.